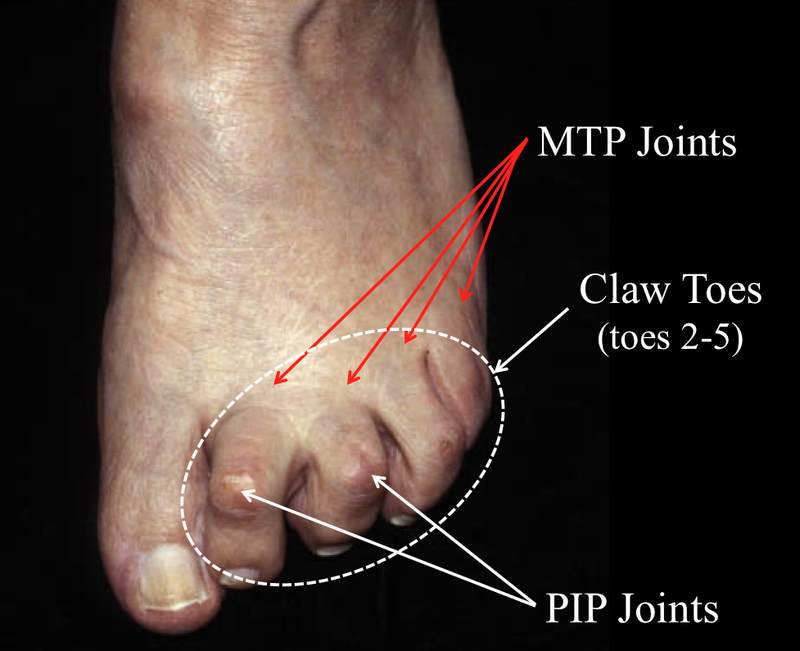 In some individuals with claw toes, the toe deformity remains flexible so that when examining the toe in clinic, the toe can be still be pulled straight. This is in contrast to more long-standing claw toes which often become rigid and fixed in a bent position. When the toe deformity is flexible, a simple surgical release of the tendon that excessively bends the toe (the Flexor Digitorum Longus) may be beneficial. This procedure can be done quickly with a nick in the skin on the undersurface of the toe and a release of the tight tendon, a technique known as a percutaneous release. The procedure does not fully control the position of the toe, and in some instances, the toe can ride into a high, more extended position. This is because release of the flexor tendon that bends the toe still leaves the extensor tendon that raises the toe intact, allowing the extensor tendon to lift the toe upwards. For this reason, this procedure is often reserved for the 4th or 5th toes, where this is less troublesome, or for patients who can only tolerate a minor procedure.